The water in your home may have several issues that need to be corrected, from hardness (mineral deposits) and turbidity (suspended dirt) to bad tastes and smells (chlorine odor). Your water may also contain things you can’t even see, such as nitrates or other potentially harmful contaminants. If your water looks, tastes or smells bad, remedying the water at each tap as well as providing the best, purist drinking water is the answer. A whole home water solution from EcoWater includes a water conditioner and drinking water solution that is customized to meet your needs – whether your water comes from a municipal supply or private well or if you live in an area where there are water restrictions. 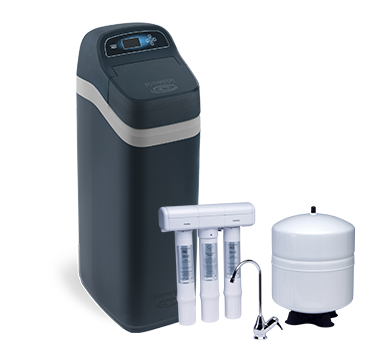 A whole home water filtration system from EcoWater includes a water softener system plus a reverse osmosis water treatment system. The water softener treats your water by removing mineral deposits, while the RO filters remove at least 95 percent of the dissolved solids in your drinking water. The EcoWater Whole Home System gives you cleaner, softer water from every faucet in your home, plus delivers safe, great tasting water for drinking or cooking. We offer a full line of products to meet your needs. Different products can be combined to create a customized Whole Home System. Valuable water usage information to help manage water consumption. The system salt level, and number of days before salt is needed. Gallons of capacity before the next regeneration. Amount of hardness removed from your water. Confirmation that the system is working properly. Notice if the systems need service. 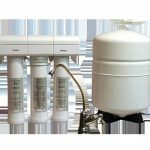 A whole home water filtration system from EcoWater includes a water refiner system plus a reverse osmosis water treatment system. 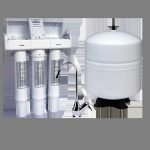 The water refiner treats your water by removing mineral deposits and chlorine taste and odor, while the RO filters remove at least 95 percent of the dissolved solids in your drinking water. 2019 © Copyright Air Tree Canada, All rights reserved.